Today’s security devices need to operate reliably well outside of your average control room. Security professionals require equipment that can be counted on to record, store and send data no matter what the environment. 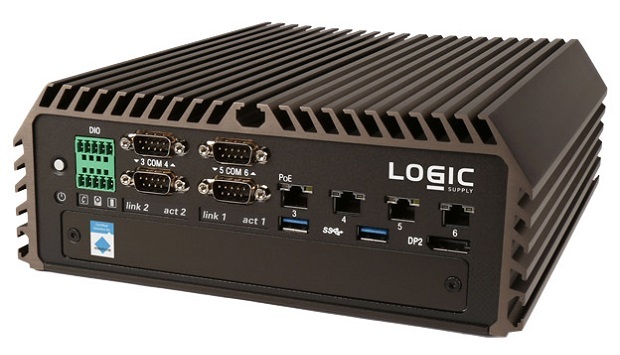 Working closely with one of the world’s leading video management software (VMS) providers, we’re proud to introduce you to the Logic Supply MX1000, the first rugged, transit-ready Network Video Recorder (NVR) to be certified by Milestone to work with their popular XProtect® VMS software. Engineered with the challenges of in-vehicle installations in mind, the Logic Supply MX1000 is a fanless and ventless NVR capable of processing video from up to 25 HD cameras simultaneously. Resistant to shock and vibration and featuring a hardened enclosure, the MX1000 opens up a wealth of new possibilities for security integrators. For more details check out our recent news releaseM, and visit the MX1000 product page here for full specifications.